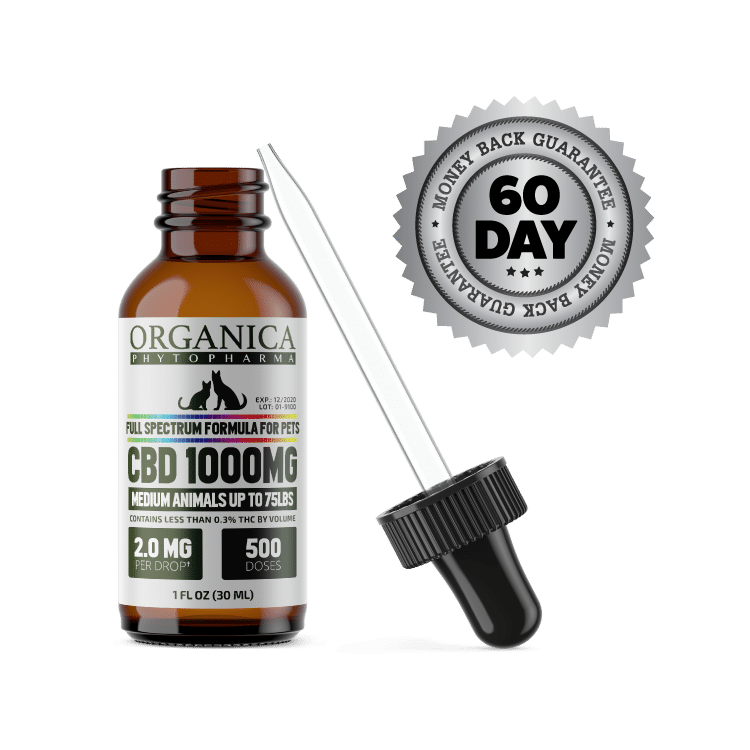 Support your pet’s overall health and well being with this full spectrum Pet CBD oil created specifically for medium-sized animals between 25 – 100 lbs. 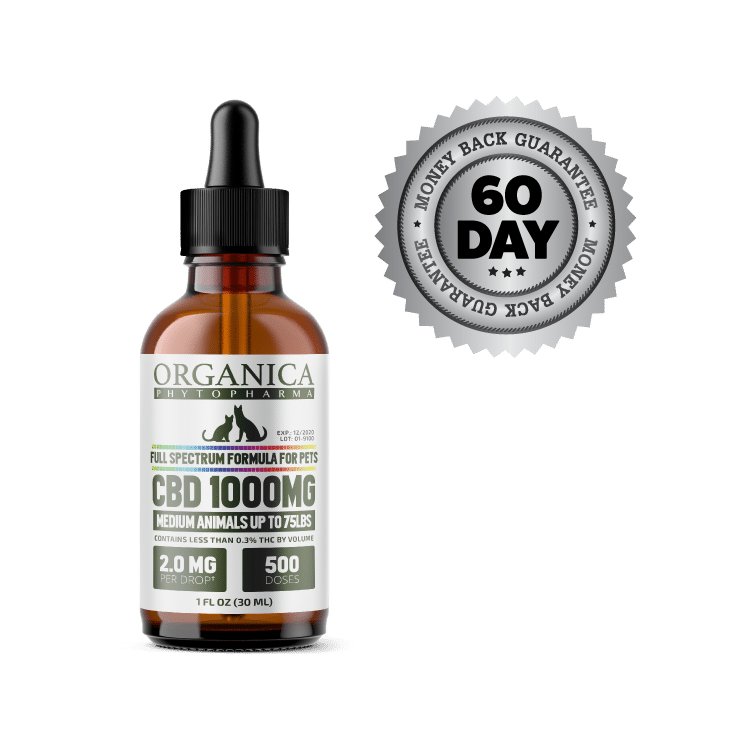 Containing over 500 doses at approximately 2.0 milligrams per drop, this 1000mg formula provides a medicinal dose of CBD and lasts about one (1) month when taking one dropper (1 milliliter / 17 drops) daily. 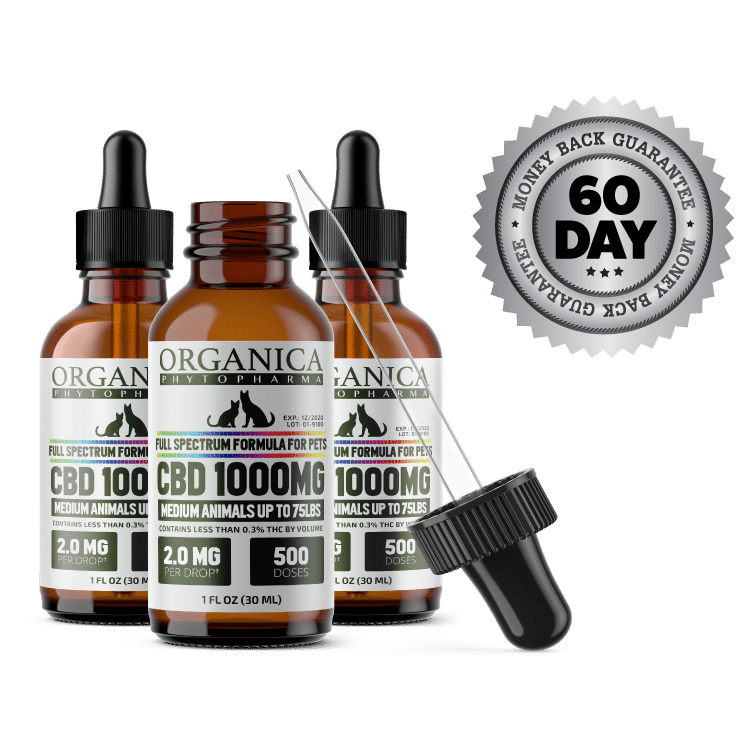 Buy three and save $20 (for a limited time only).